It’s February vacation! 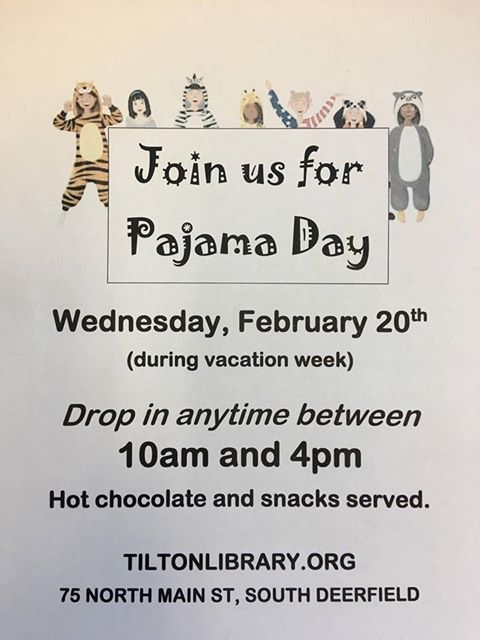 Celebrate by staying in your pajamas and wearing them to the library. Hot chocolate and snacks served in the children’s room. Drop in anytime between 10am – 4pm.